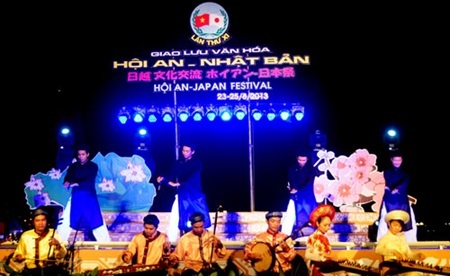 The ancient city will host the annual Hoi An-Japan Cultural Festival with a series of activities from August 28 to 30, Hoi An"s culture centre said yesterday. This is the 13th time the city has held the event, with the participation of local residents, the Japanese community in Hoi An and Da Nang, and tourists visiting the city. Japanese residents living in Hoi An and artists from Japan will introduce traditional dances like yasakoi, yakakoi; paper cutting (Kirigami); bonsai and photo exhibitions for the 12th anniversary of co-operation and culture exchange between Hoi An and Japan; a Haiku calligraphy exhibition; and folk performances. The event will also include fashion shows, carpentry crafts, folk games and a boat race in the Hoai River. Earlier, visitors can release candle-lit paper flowers on the Hoai River on the occasion of Full-moon Day on August 27. The three-day festival will also host a bicycle parade to promote the city's anti-smoking and anti-pollution campaigns.